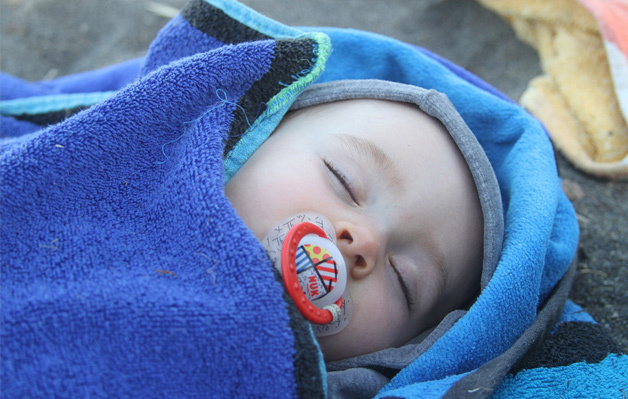 A wet, cold, dirty diaper in the middle of the night is not only uncomfortable, thus leading to unstable sleep patterns and crankiness; it can also lead to diaper rash, irritation, and potential skin allergies. Avoid all of this by choosing the best overnight diapers available in the market. These are super-absorbent diapers that protect babies’ skin and helps them sleep through the night. Here are the 5 best overnight diapers based on their ratings from verified customers, popularity, and capacity. Allnites are diapers especially made for overnight protection. They provide up to 12 hours of zero leakage, allergen-free materials, and an inner core that is comparable to the top contenders for best overnight diapers in its tier and category. Allnites are good for babies with sensitive skin, and the size, pricing and availability are excellent. The Allnites Overnight diapers feature stretchable waist, side panels, a strong inner core, and improved leakage protection technology. 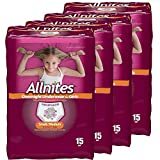 Like top competitors such as Honest Company and Huggies, Allnites have side ridges to contain liquids and keep them away from the baby’s skin. It also has a super absorbent core. The product comes in sizes 3 and 4, with count options of 74 and 86 diapers per box. You can find them in Amazon and Walmart. Most customers are very pleased with these diapers. An Amazon customer mentions they fit great on babies around 30 pounds; in addition, they also appreciate the thick padding that’s completely leak-proof according to their experience. Other users also noted the diapers seem comfortable and are great for babies who tend to get rashes, even when worn fore more than 12 hours according to user AmazonAddict. The Honest Company is a huge best seller at Amazon.com, and is one of the most popular diaper brands in the market. Part of the reason is the premise of the company: no foreign substance of any kind goes in the making of their diaper pads. 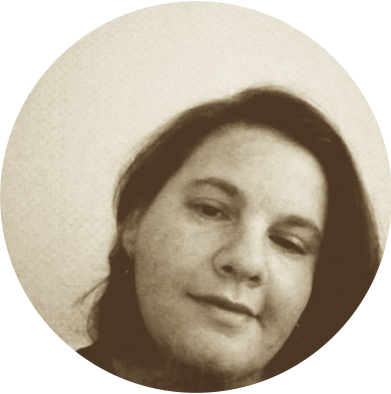 The products are sustainable, eco-friendly, hypoallergenic, organic and all-natural. 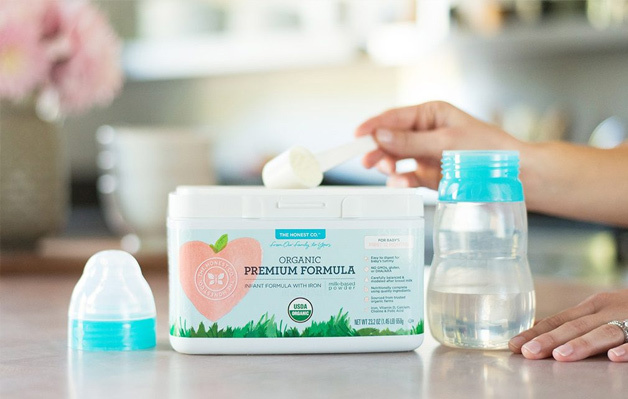 Some parents are willing to pay the extra cost of a product made with high quality materials of this nature, but there is not much of a difference between an Honest Co. diaper and one from a top competitor in the same tier. Therefore, Honest Overnights also qualify as contenders for best overnight diapers in thge market. Honest Overnights feature a bio-based core with a harvested fluff pulp. Like its top competitors, it also features side ridges for extra leakage protection. Its plant-based material guarantees 20% more absorption power than the average diaper. It has quilted lining that moves the liquids away from the skin. Its breathable outer layers keep the diaper at a cool temperature, thus keeping baby fresh until the next change. The Honest Overnights come in all sizes, supporting babies over 35 pounds. 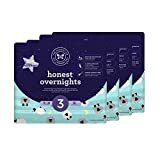 The Honest Company Overnights are available at Amazon.com and through the company site. Laura0806 mentions these diapers are great for stomach sleepers as they are longer than other diapers and stretch just above the belly button; while she appreciates the cute design, she also notes this is the only noteworthy difference between these and the Huggies mentioned below, which does not really warrant the big price difference, in her opinion. However, customer Laura Press mentioned that her baby got a serious diaper rash from these. As a top competitor for best overnight diaper of the year, Huggies are contenders against their historical rival, Pampers. Like Pampers, Huggies is one of the most widely-distributed brand of baby diapers in the American market. Huggies Overnites offer the same technology, leakage protection, competitive pricing, and availability as any other current product in the same tier and category. 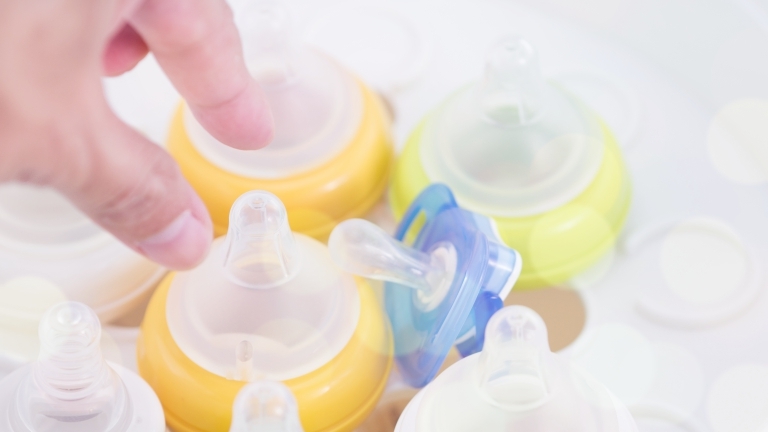 Additionally, the Huggies brand offers buyers discounts, coupons and loyalty rewards to ensure that their product continues to thrive in a competitive market. 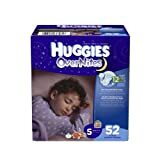 Huggies Overnites rank quite high in the Amazon best overnight diaper list. 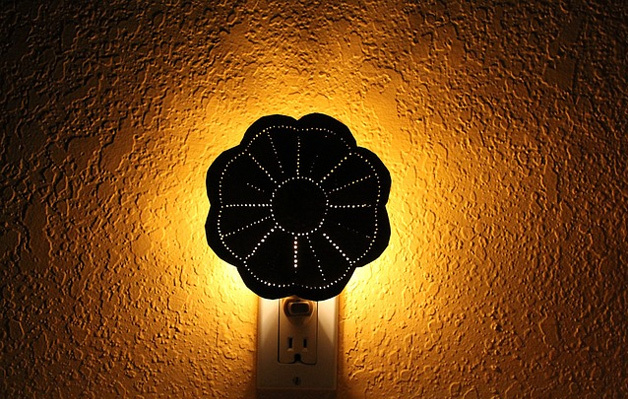 At nearly 5 solid stars, the product offers protection, dryness, cute designs, and leak technology. They come in sizes 3, 4, 5, and 6 and guarantee up to 12 hours of dry protection. The diapers feature a Leak Lock design that moves wetness away from the skin through ridges that are located on both side of the center. They come in a variety of designs that include Winnie the Pooh. These diapers are widely distributed by all major retailers including Amazon and Walmart. Verified Customer Queen HappyFace is impressed with how absorbent these diapers are and also mentions they are way better than off-brand products. Most of the other reviews agree they are some of the best overnight diapers available for a reasonable price, although a few customers like Dana Wampler noticed you can sometimes get a bad batch that has the velcro coming off. 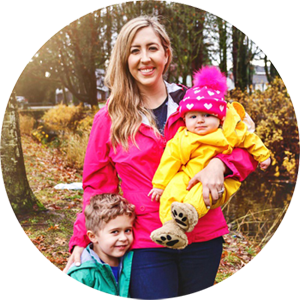 Although Bambo Nature is not a household name brand known by everyone in the US, the diapers are actually known worldwide to be one of the best overnight diapers. Bambo Nature is comparable to The Honest Company in terms of company philosophy. 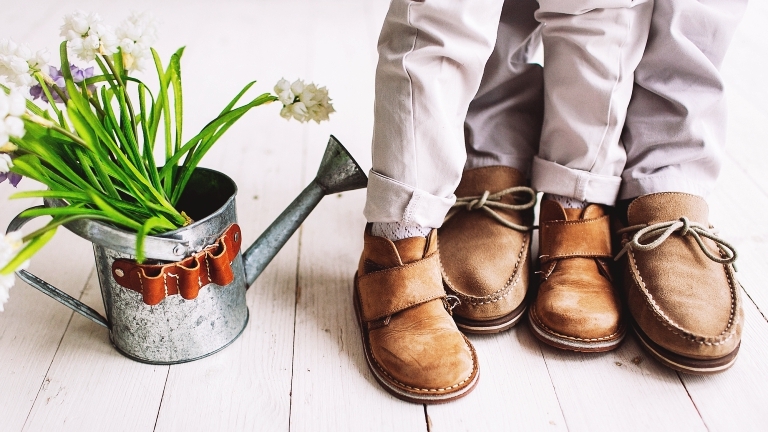 Like their top competitor Honest, Bambo Nature also uses sustainable, eco-friendly, natural, allergen-free, perfume-free and fair trade materials to produce their product. These diapers even boast the Danish Asthma/Allergy certification, are dermatologically-tested, and certified by the FSC. 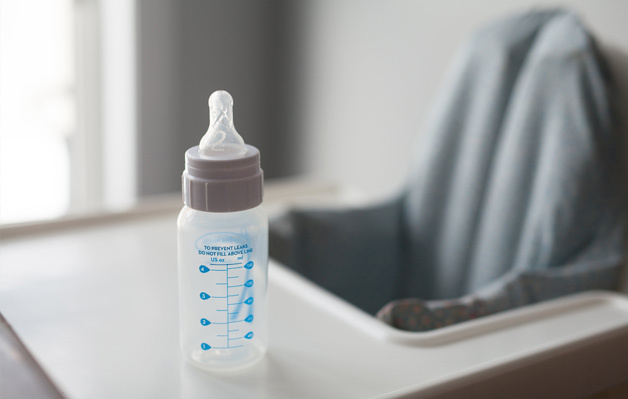 Ethicalconsumer.org and Babygearlab.com declared this brand to be number one of its category. Bambo Nature diapers can be easily labeled as “vegan-friendly” for their materials are completely natural and plant-based. The fact that they use tough, plant-based materials makes their diapers more absorbent than the average cotton/plastic options out there. 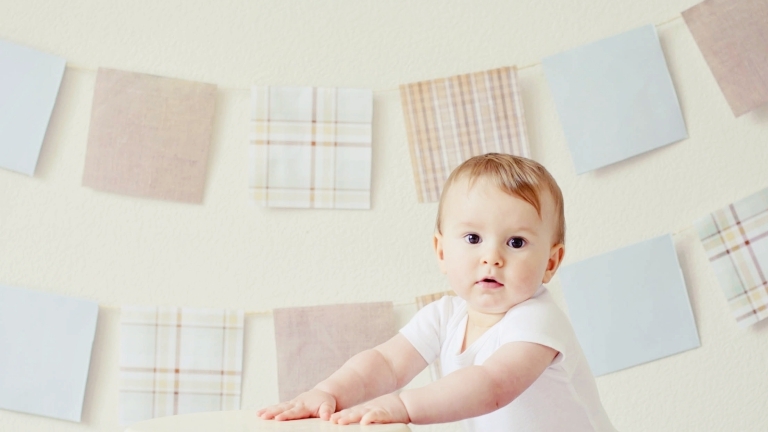 The diapers are free from carcinogens, allergens, preservatives, or any agent of irritation. These are the best overnight diaper option for babies who develop contact dermatitis or environmental sensitivities. You can get Bambo Nature diapers from Amazon.com, Carethy.us, and through the company site. Customers like sarah212 praise these diapers for their super soft texture and mention they are the best overnight diapers they have used; they fit perfectly if you purchase the right size as they are adjustable, and they are environmentally-friendly. Customer Tia Robinson, however, mentioned the soft texture of the inside of these diapers can stick to the baby’s skin, thus leading to rashes if not changed often. The most popular diaper brand in the US, the Pampers brand is known for its antileak technology, hours of protection, cute designs, and wide availability. These diapers come in a variety of sizes for baby’s never ending growth process, and they come in convenient mega package options to keep moms-to-be well-stocked for a good while. Pampers’s anti leak technology features deep, absorbent ridges in the areas of the center of the diaper that move the liquids away from the skin, thus keeping baby fresh and dry. They also feature a Leakguard core, much comparable to that of The Honest Company and Bambo Nature, which entails that the product will keep the baby dry for longer periods of time, particularly overnight. The diapers come in 7 different sizes, keeping in mind the unique, growing needs of babies. 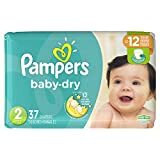 You can get Pampers Baby Dry via Amazon, or through the Pampers website, where you can also get coupons, discounts and loyalty rewards that offset the cost of the product. Most customers are happy with these diapers and love the color-changing feature that lets them know when to change the diaper. Molly Jane Ray notes she had a positive, yet uneventful experience with these diapers; they simply work as they should. However, some customers like user pibbles reported the diapers can sometimes get damp on the outside; however, a waterproof diaper cover can fix this issue. These five brands offer the most desirable things parents look for in a diaper: high quality materials, availability, and a fresh, leak-free night. These 5 are sure to be the strongest candidates for the coveted title of best overnight diaper. Which is your favorite brand? 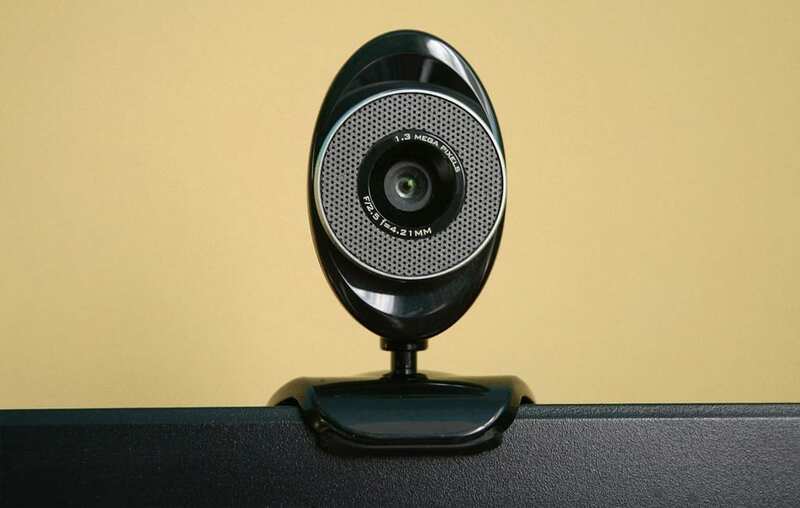 Be sure to give them a shout out and let us know about your experience with them!